Hundreds of thousands of Del-Tron Precision Inc. slides, linear motion bearings, positioning stages, ball and lead screw actuators and other linear motion devices have been incorporated into medical diagnostic and other equipment, assembly systems, scientific instruments and many other products. Our devices are the highest quality, dependable, easy to install and affordable. We want TUSK Direct Inc. to be the company you think of when you need linear motion components, whether you require an obscure style like our dovetail slides or a standard model like the linear motion bearings. We value customer relationships and we welcome your calls. Our trained technical staff will be available Monday thru Friday, from 9:00 a.m. to 5:00 p.m., EST. As a distributor of excellent linear motion devices, Bishop-Wisecarver is a dependable company where customers can trust that the products they are purchasing are the best. With so many major manufacturers utilizing Bishop-Wisecarver as their middle man, you can be sure that you are getting the widest selection of linear motion bearings and related instruments and systems. When it comes to linear motion bearings ours are the best! 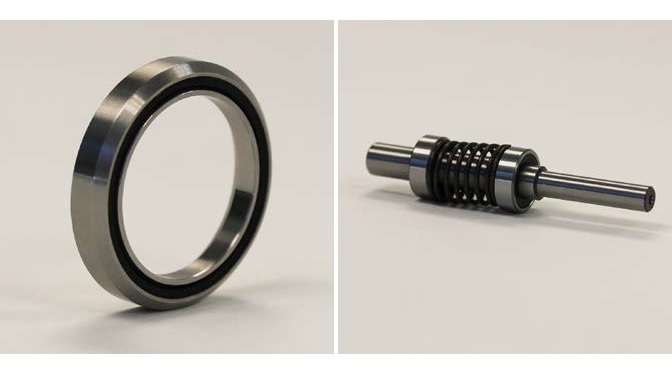 We offer high precision bearings designed for linear motion with minimal friction to the shaft. Our linear motion bearings are available in chrome steel or stainless steel for your convenience. We also provide these products in both metric and inch sizes to better serve you! Visit our website today or contact us by sending an email or calling our customer service division! Linear motion bearings are motion components used to aid in low friction linear motion of loads requiring high accuracy and repeatability in their movement. Due to their accuracy, low cost, and availability, linear motion bearings are used in a variety of industrial applications.Bearing systems are typically low maintenance motion device options; however linear motion bearings will require periodical maintenance and/or replacing to ensure the optimum performance of the system. There is a wide range of styles of linear motion bearing devices such as linear air bearings, linear roller bearings, linear or rotary bearings and more. Rolling element linear motion bearings, of which linear ball bearings and linear roller bearings are varieties, are far more accurate than sliding contact bearings and so are among the most commonly used linear motion bearings. Linear bearing systems can vary in terms of stiffness or intended velocity, as well as in the smoothness of motion. These factors will be adjusted according to the application of the bearing slide. Other factors such as height and length, rolling element and material choice can also be changed according to specific needs. Linear bearings are commonly constructed from materials like steel or aluminum which provide a strong and durable material able to bear the weight of moving loads without excessive wear and tear. Rolling elements are either ball bearings or roller slides. Ball bearings tend to wear out faster than roller slides, but both are useful in a wide variety of applications. The load capacities of linear devices can vary greatly according to design and depending on the material used to construct the motion device. Motorized linear slides can be used for heavier loads or for extreme precision and are moved by drive mechanisms. Other manually operated slides rely on gravity, inertia or hand power to move. 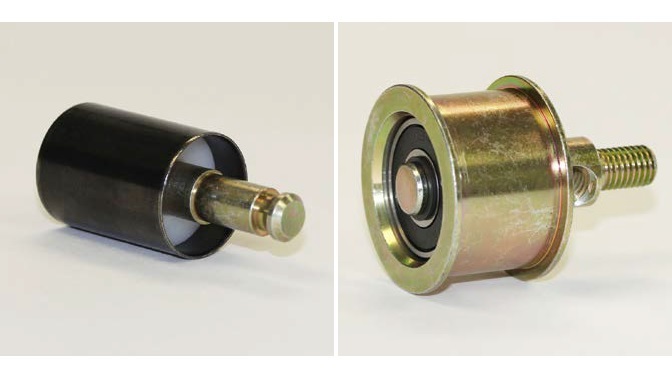 For heavy load applications, or for long distance applications, the housing system of the linear motion bearings can be strengthened by the addition of support rails or guide wheels either continuously or at intermittent points in order to prevent structural failure along the linear rails. Upkeep for linear motion bearings may include slight railing and positioning adjustments, especially in applications with heavy loads and/or those requiring high precision. For applications in which air-borne debris is a factor, the bearings and assembly shafts may have to be opened and cleaned. Lubricants can also be added to the rail systems to extend the lifespan of the bearings and to further minimize friction.